Kent Online – Matt Walker says Kent are keeping an open mind about who will take over the captaincy at the start of the summer. Matt Walker says Kent are keeping an open mind about who will take over the captaincy at the start of the summer. Skipper Sam Billings and his deputy Joe Denly will miss a minimum of six weeks due to their Indian Premier League commitments meaning the county must pick someone else to temporarily take the reins. 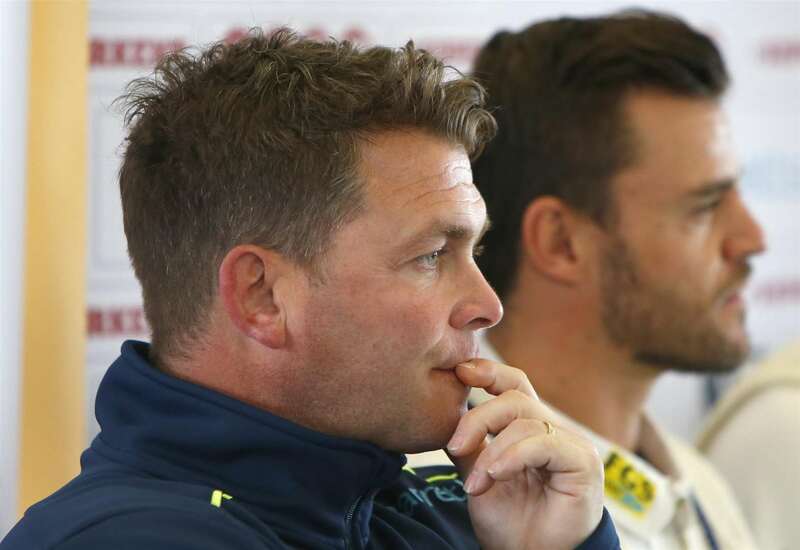 Kent Cricket head coach Matt Walker alongside Heino Kuhn, one of the candidates for the captaincy Picture: Andy JonesHead coach Walker says Kent will clearly miss the pair but he hopes their absence will give other players an opportunity to take more responsibility. “We’ve talked before about developing leaders on the field and while it may be one man who will be captain it will require the other players to step up and drive it as well. Heino Kuhn is many people’s favourite to be given the captaincy while experienced all-rounder Darren Stevens has been leading Claremont CC in South Africa this winter, but Walker says the county are keeping their options open. India vs England Live: Can Ishant Sharma Replicate 2014 to Get India Back?